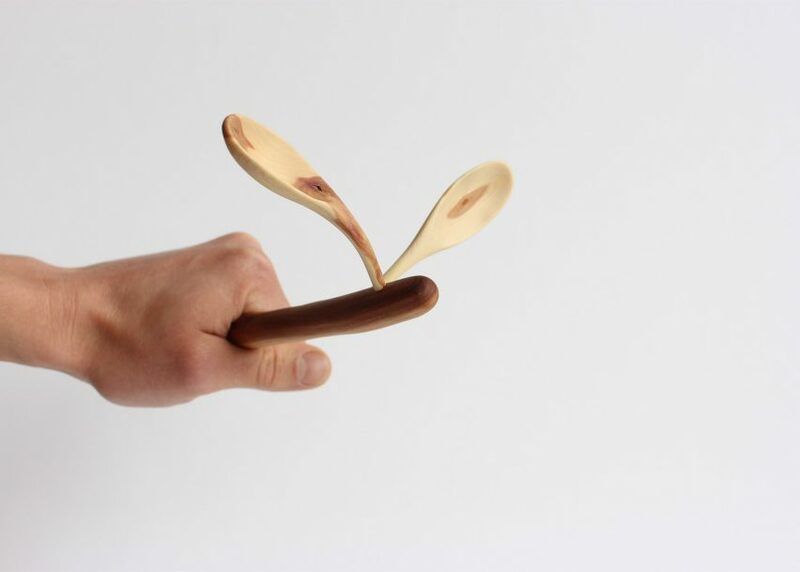 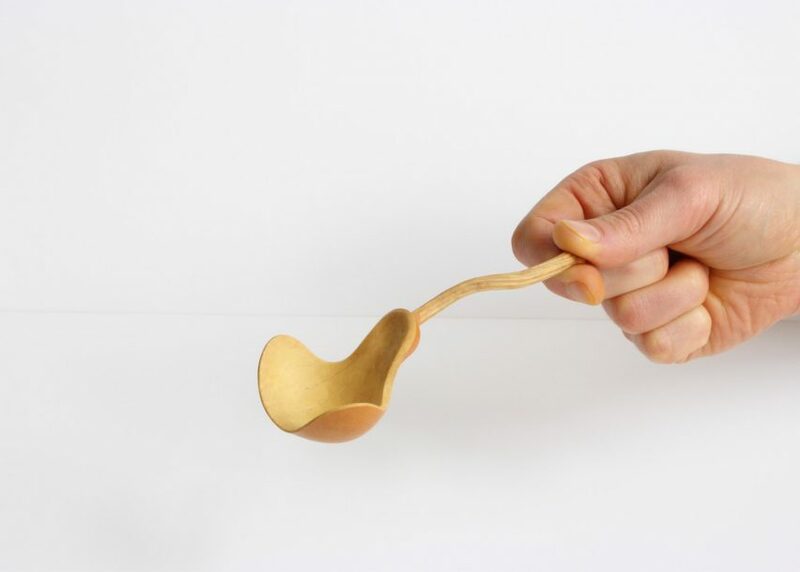 Claw-like forks and spoons with extra bowls are among a collection of nonsensical cutlery commissioned by Amsterdam design studio Steinbeisser (+ slideshow). 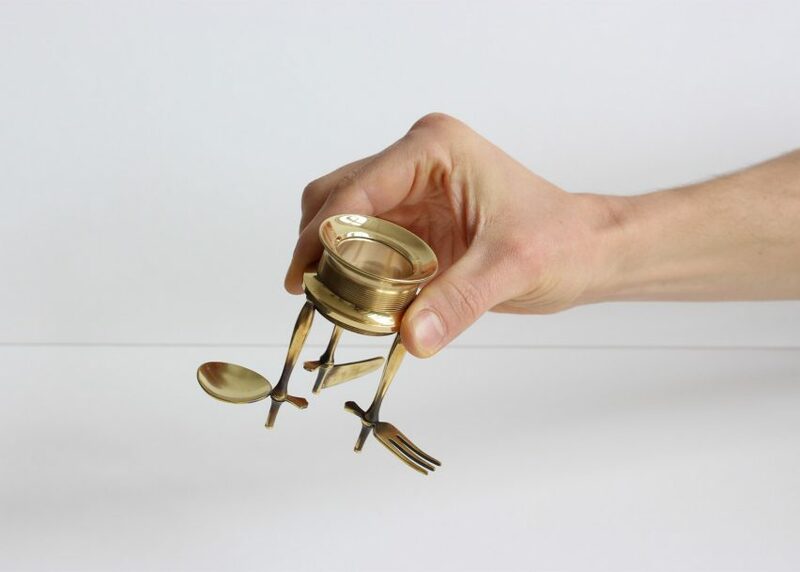 Designed as alternatives to "efficient and functional" tableware, each piece has been created to slow down the time spent at the dinner table. 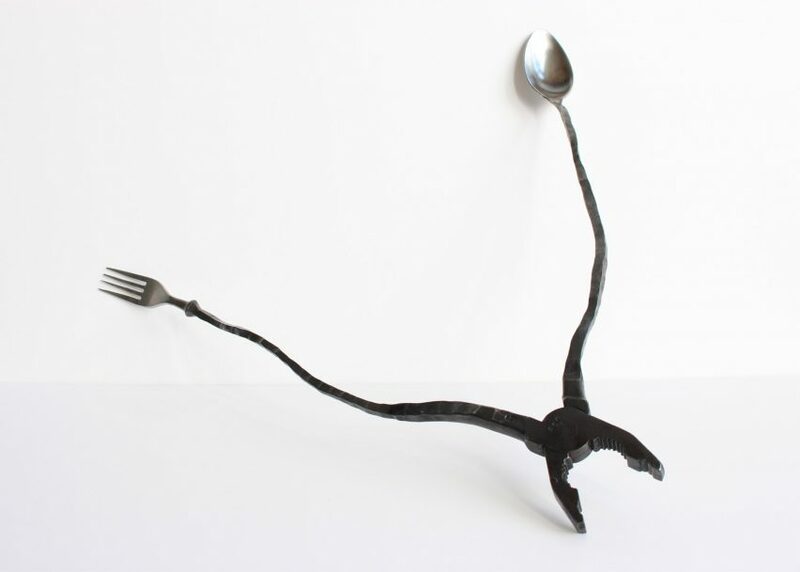 More than 35 artists and designers have contributed to the growing collection, with new pieces added for each annual Experimental Gastronomy food and design event organised by the studio. 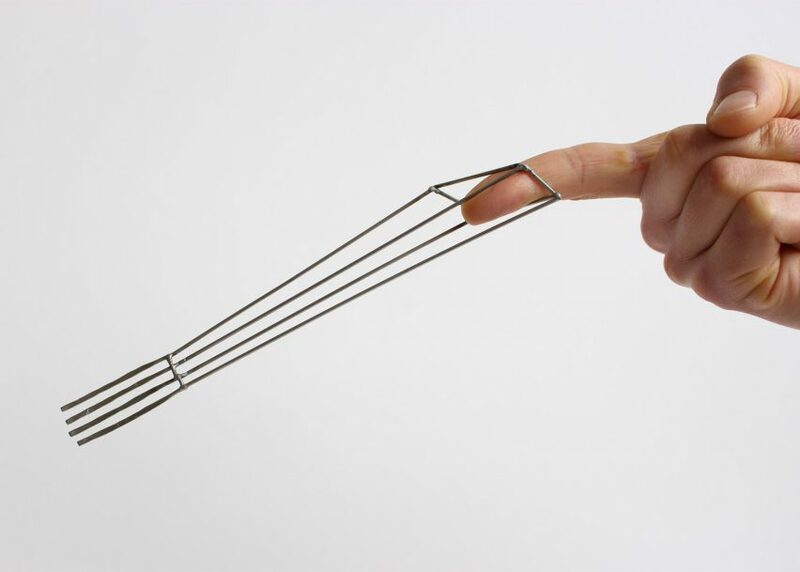 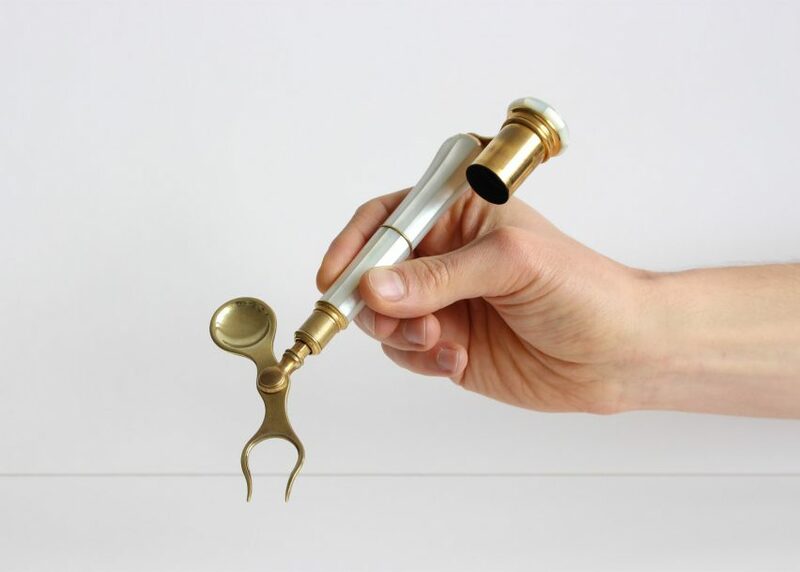 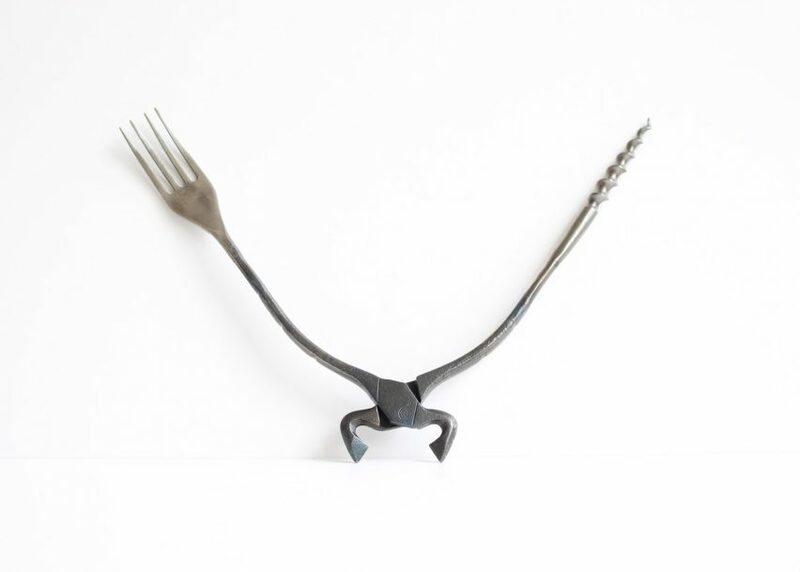 Japanese jewellery designer Maki Okamoto created mutated pieces from recycled antique cutlery. 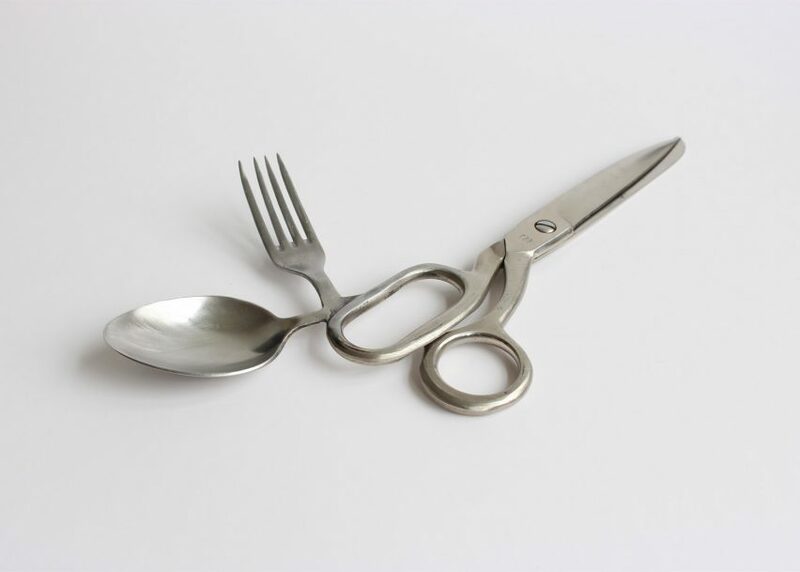 She added extra tines or spliced the bowls of spoons together with forks. 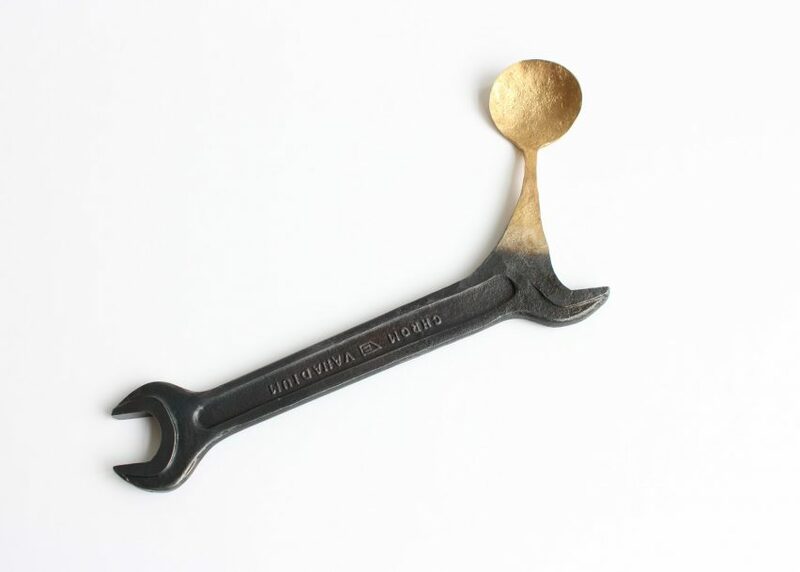 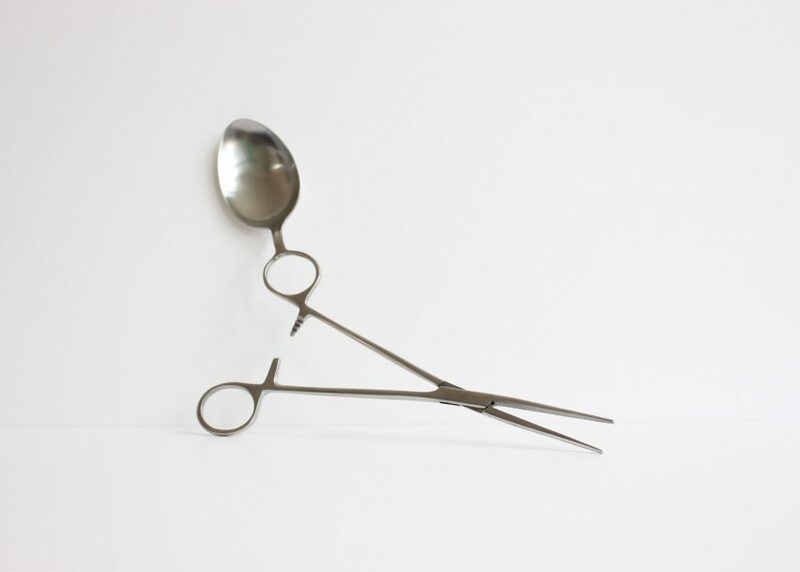 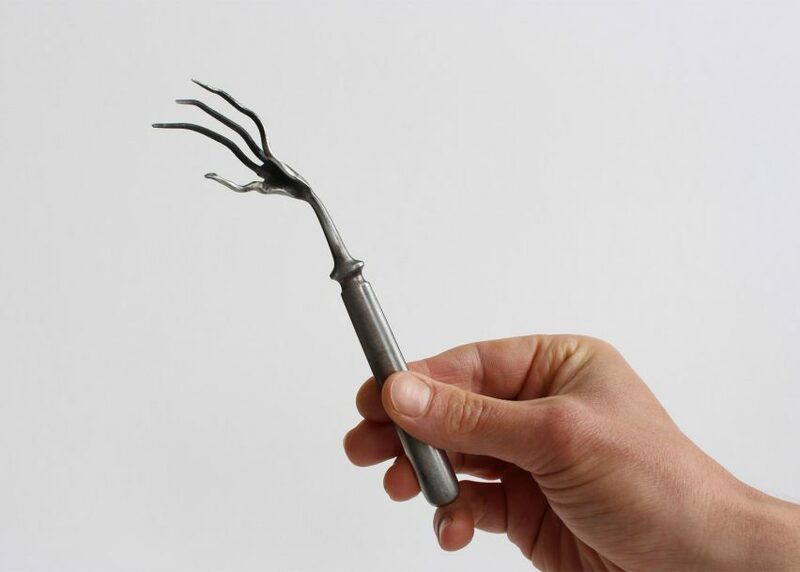 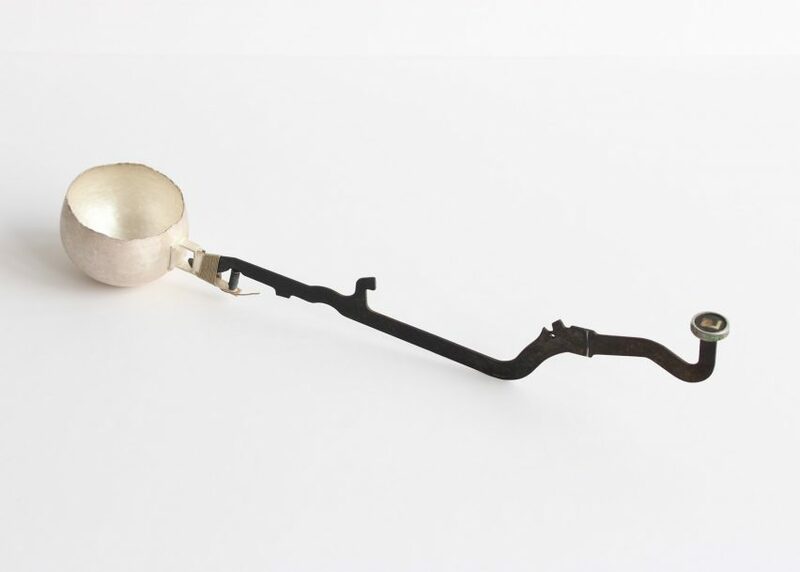 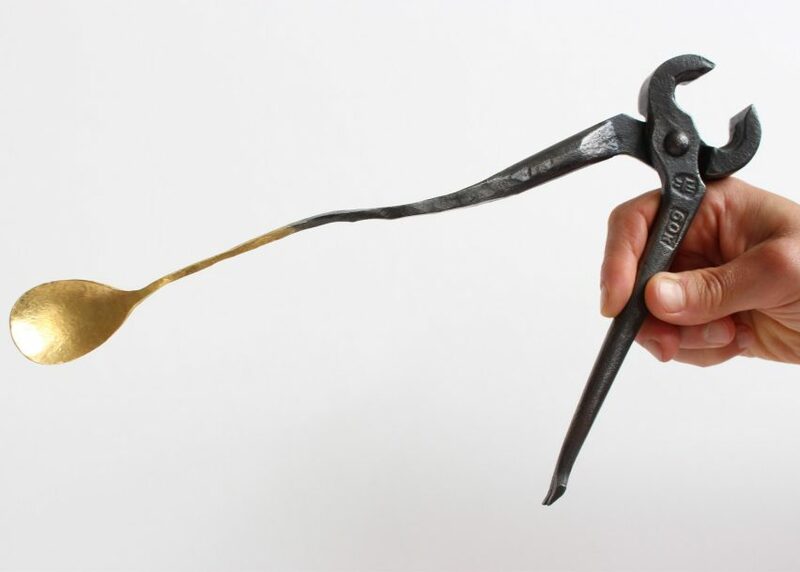 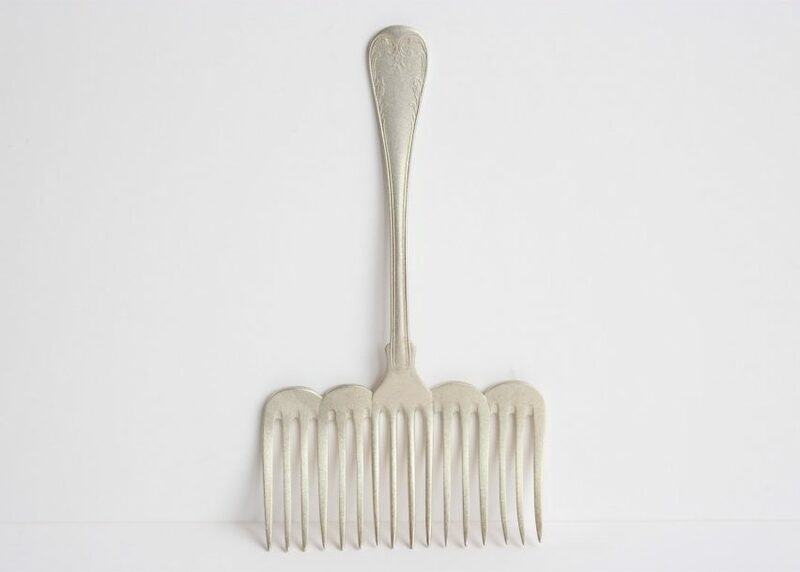 Other hybrid implements, created by Estonian artist Nils Hint, pair spanners with forks and ladles with spoons. 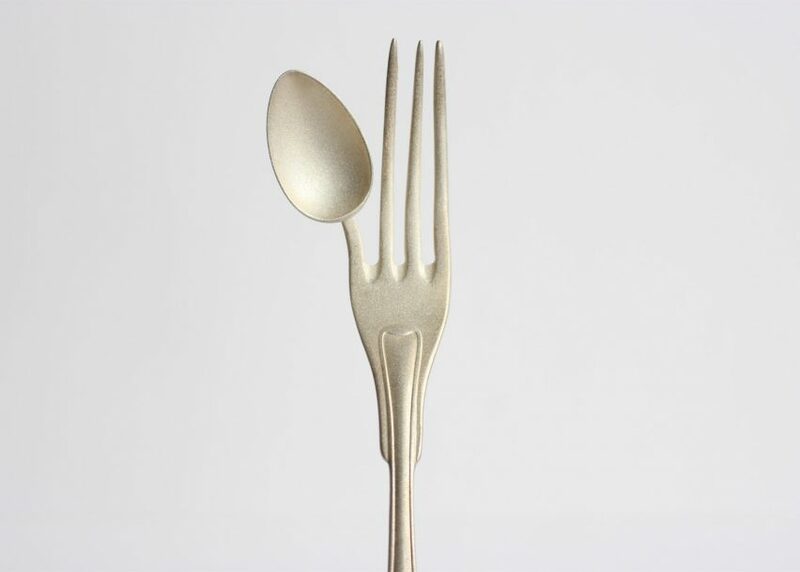 Hint also designed oversized cutlery, and increased the typical weight to play with diners' expectations. 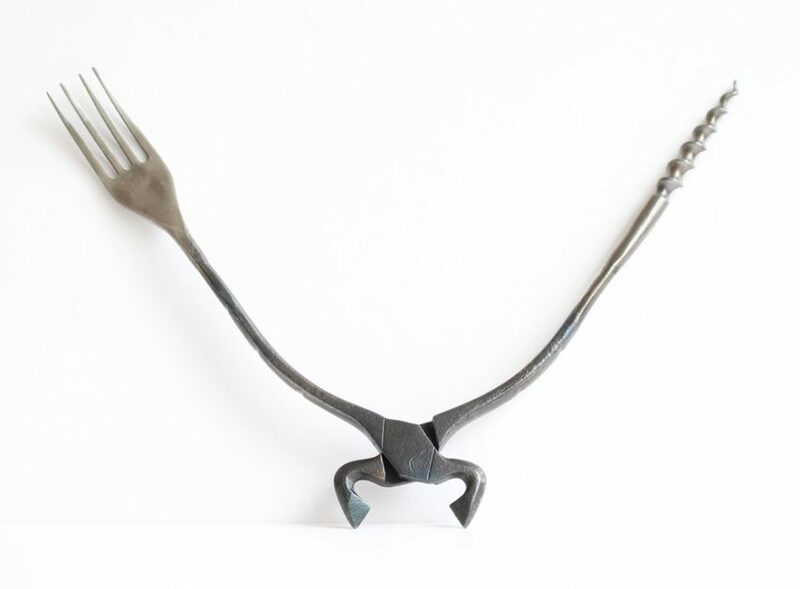 He made all of the pieces using recycled cutlery and tools from the former Soviet Union, bought in junk yards across Estonia. 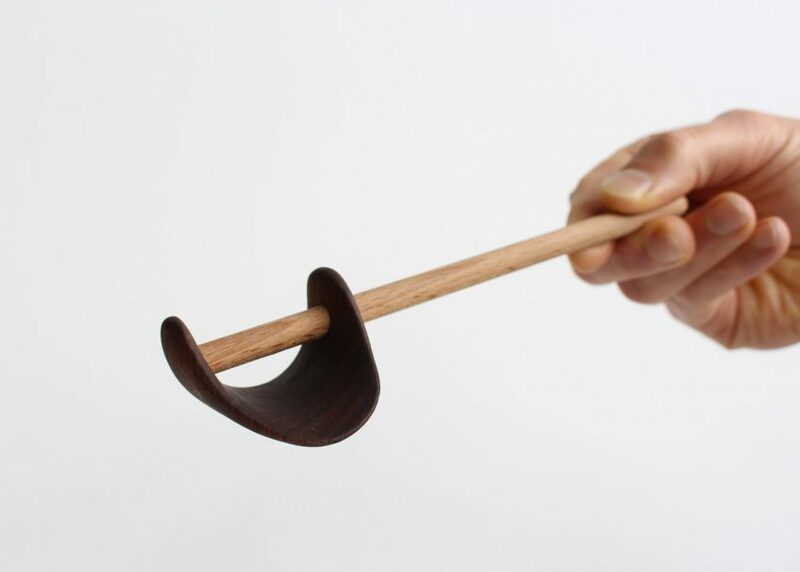 "It made guests eat considerably slower, while some even started to chew longer," Steinbeisser founder Martin Kullik told Dezeen. 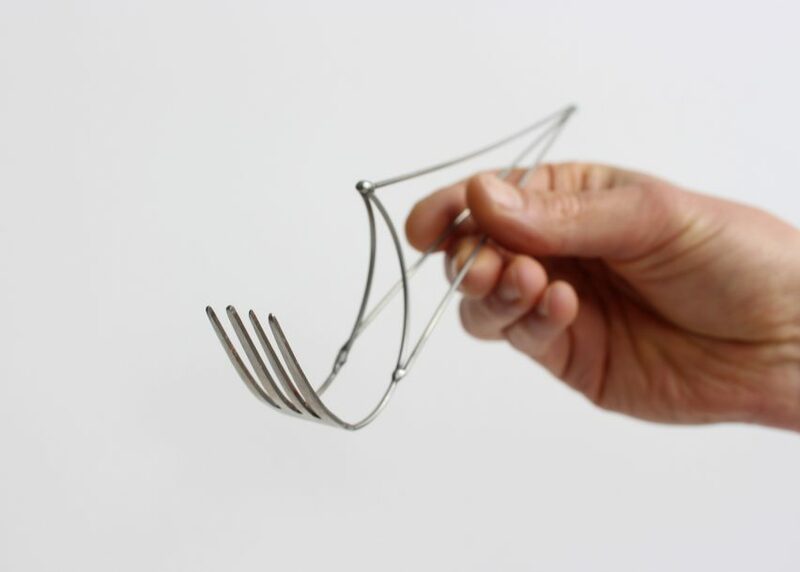 "Very interesting, taking into consideration that extra chewing can contribute to enhancing the taste experience." 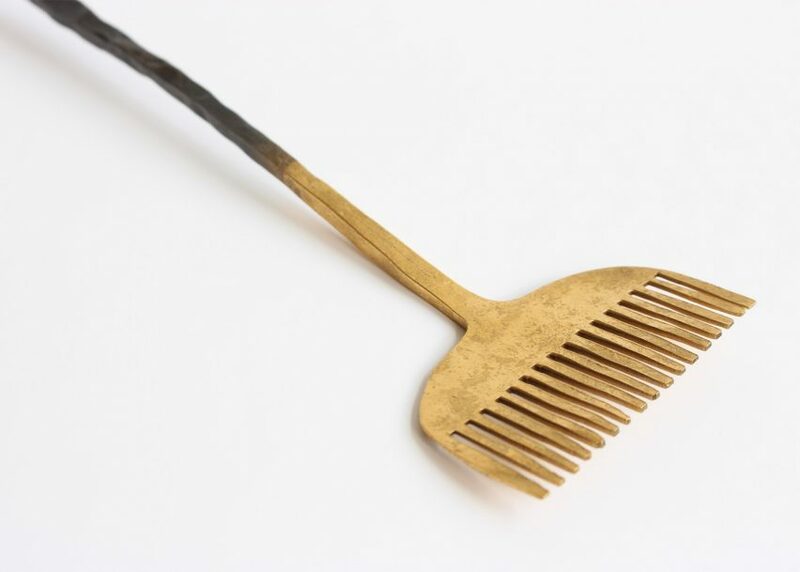 Dutch designers Renee Boute and Lisanne van Zanten used coloured cutlery to change diners' experience of food, adding gold to increase the perception of sweetness and blue for saltiness. 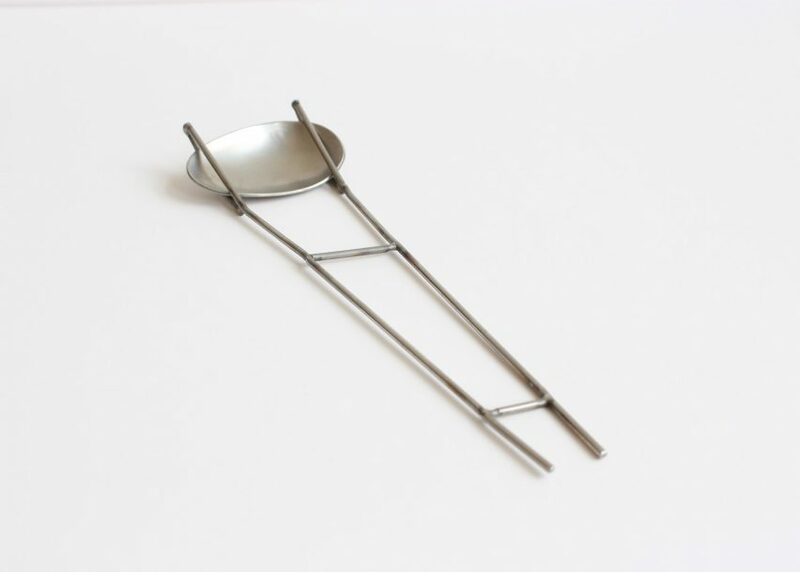 Implements were then tailored to each dish, and chefs reduced salt and sugar in their cooking accordingly. 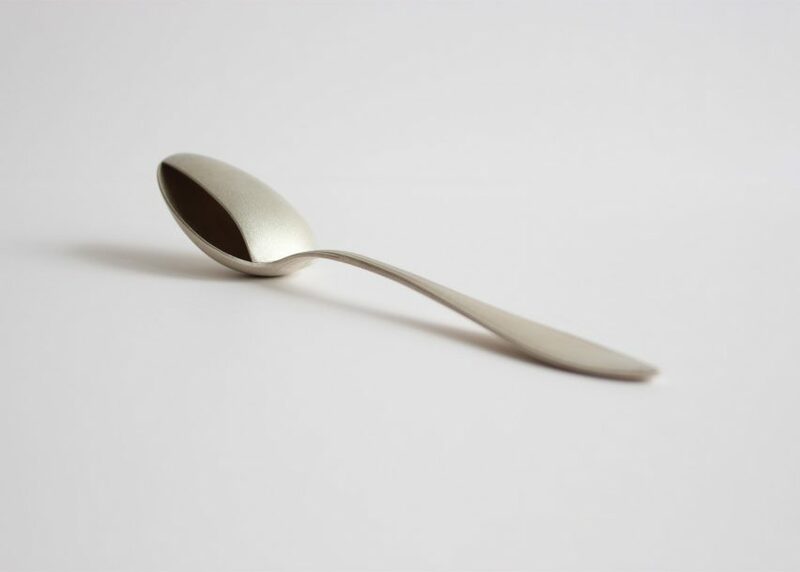 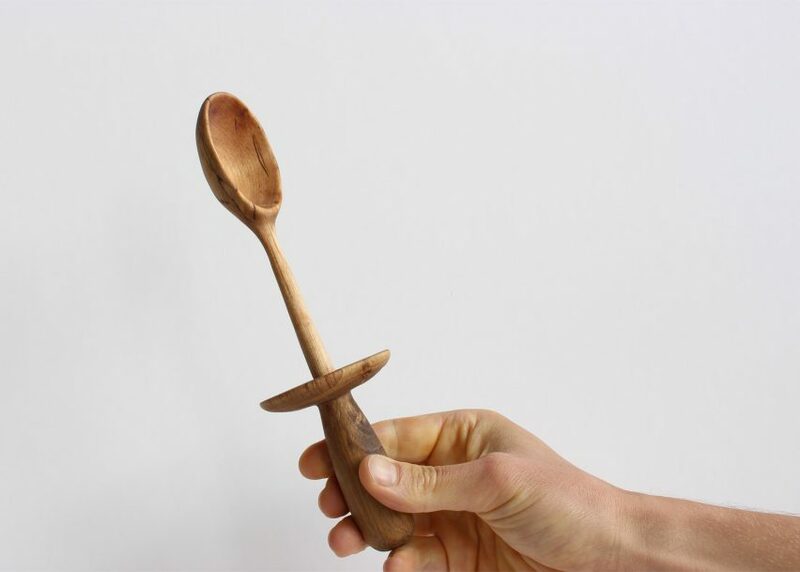 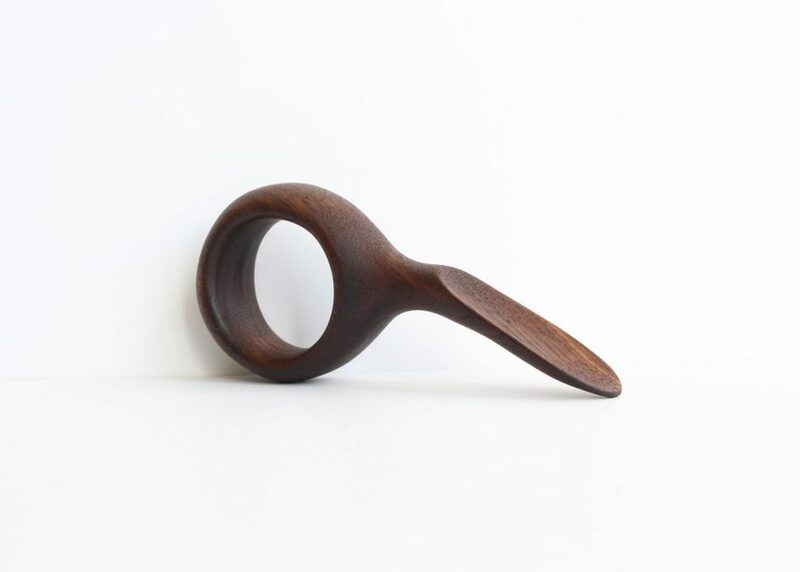 Norwegian designer Stian Korntved Ruud added to his Daily Spoon project, with a set of wooden implements, while Irish silversmith Stuart Cairns mixed silver with objects found in the forest and on the shoreline. 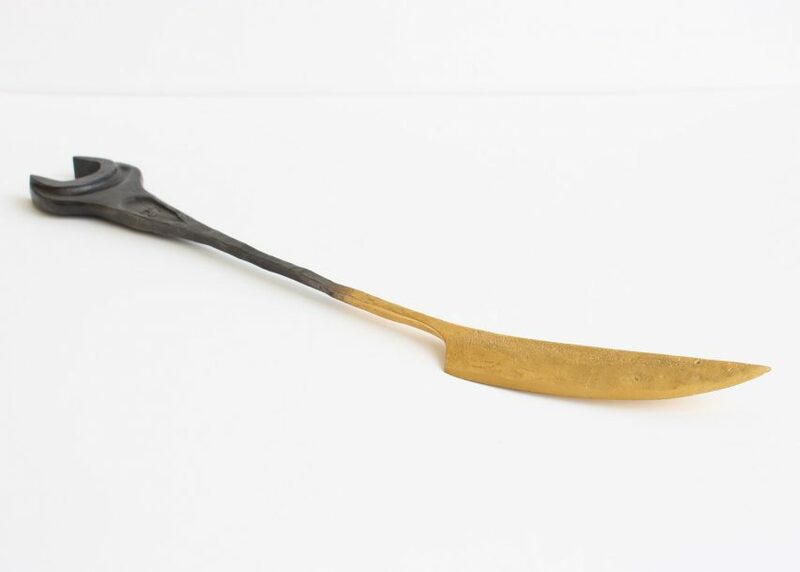 The cutlery will be on show at the Experimental Gastronomy event, which takes place on 14 and 15 September in Basel and includes a vegan menu made from local ingredients. 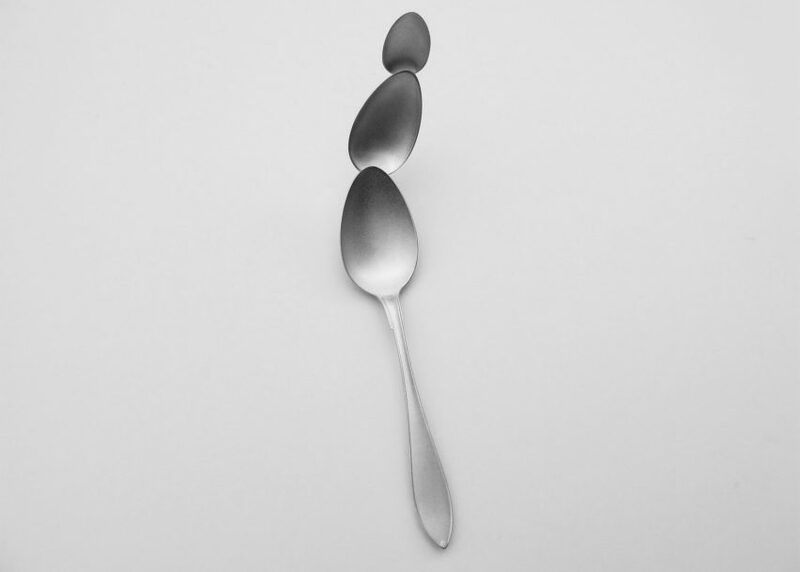 Pieces will also be on sale from the studio's online store, Jouw. 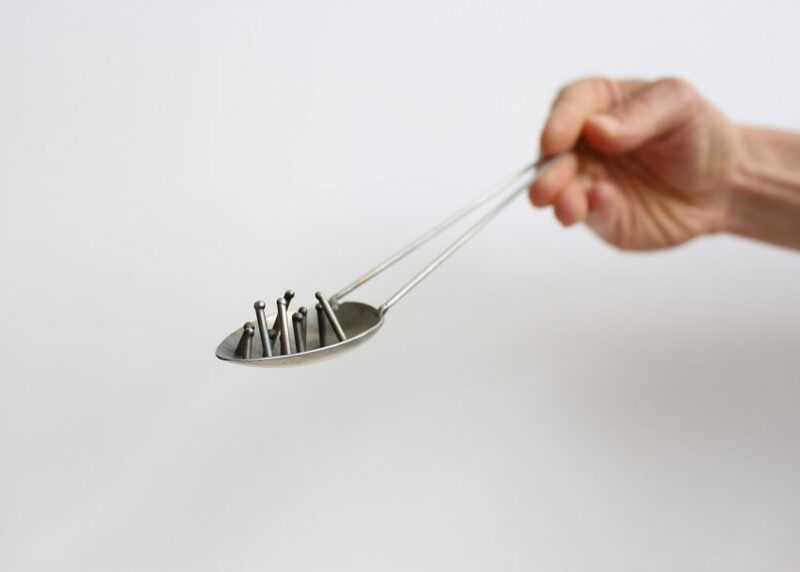 "We started Experimental Gastronomy to play and experiment," Kullik told Dezeen. 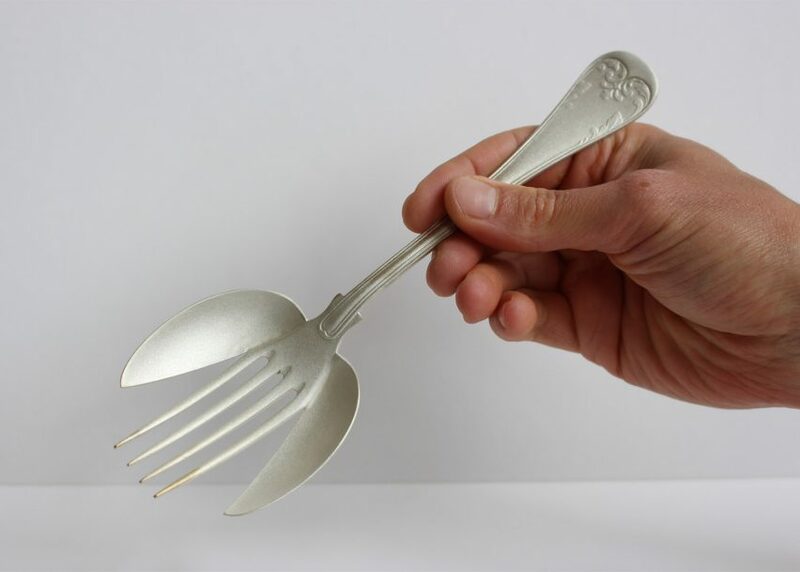 "We want to see the same attention that goes into preparing a dish also in the cutlery and tableware." 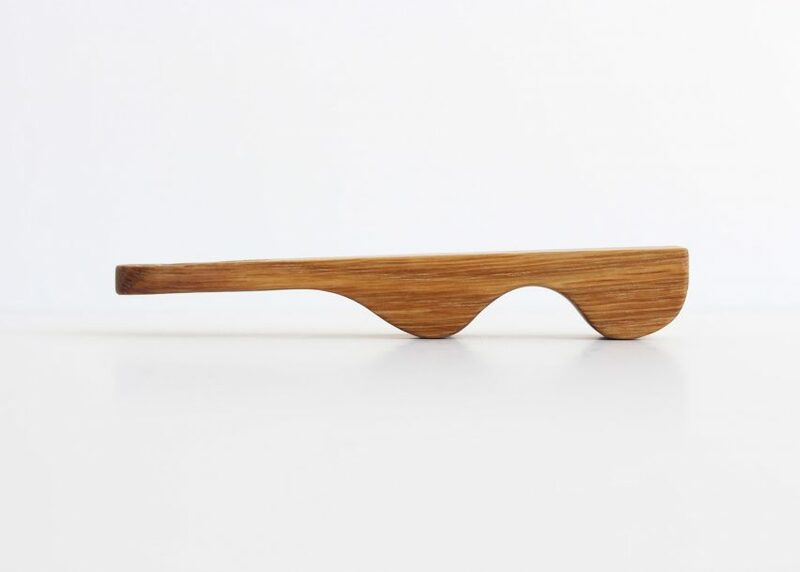 Other alternative cutlery covered by Dezeen includes a "quirky high-end" set designed by Maarten Baas and Koichi Futatsumata, and a range created by Nendo that looks as if it's been carved from flint.